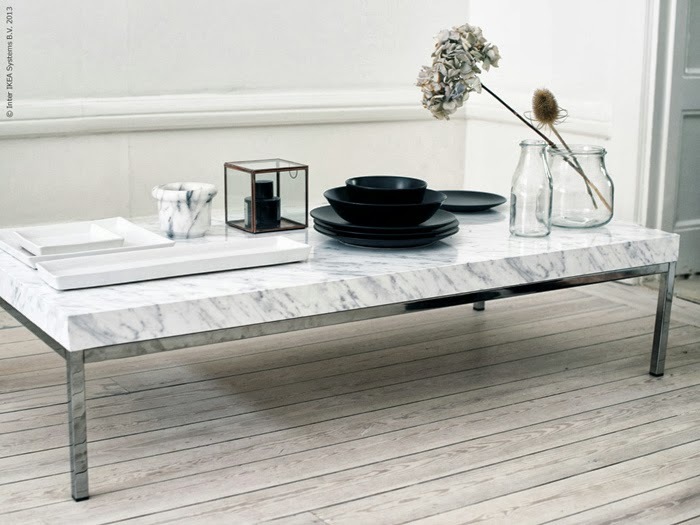 DIY Marble Coffee Table | Possibly Most Favourite IKEA Hack Yet! 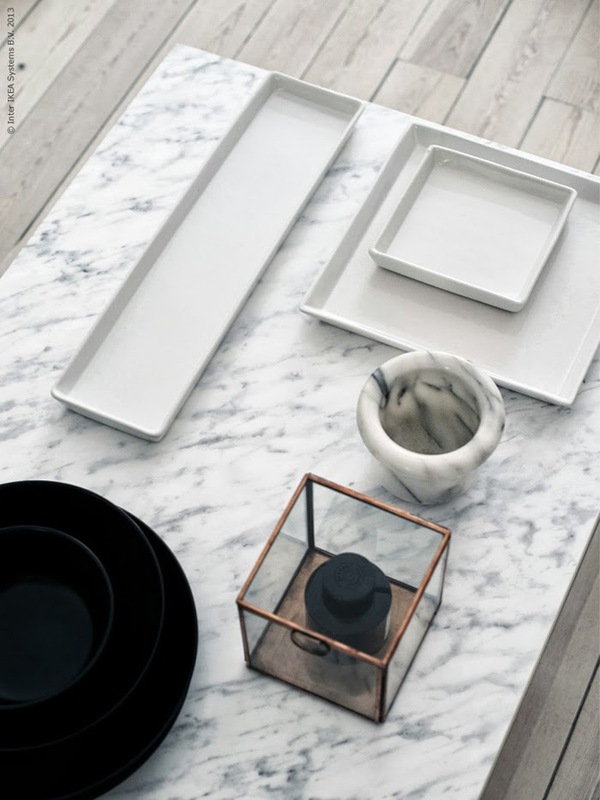 The folks at Livet Hemma sent over a few preview picks of their posts this week, and in it this DIY marble coffee table idea which caught my eye. 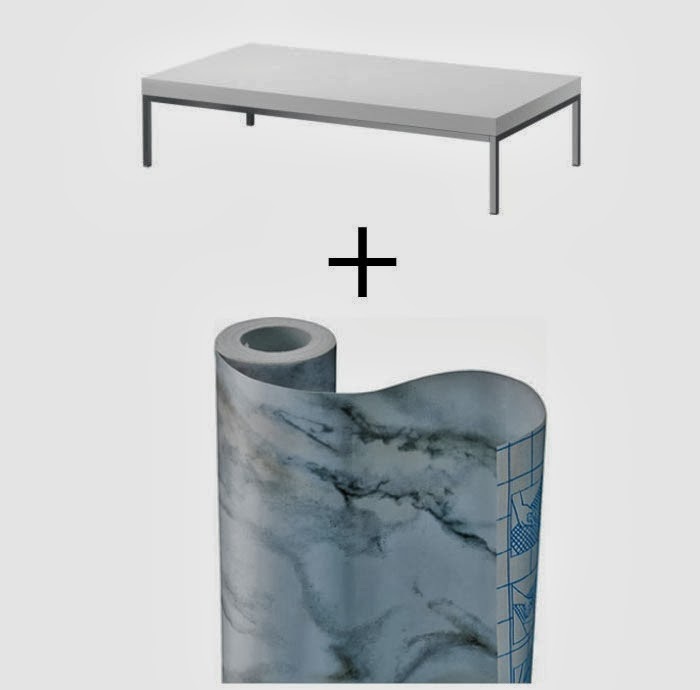 The how-to isn't up on their site yet, but I'm guessing it's similar to my DIY I did on my IKEA table earlier this year using marble contact paper. Remember it? Click here to see. And this one they've done, I'm loving even more (because you can do the sides more easier because of all the straight edges. My round table was too difficult to do this with). They used the KLUBBO Coffee Table and it looks so real! There's a few good places to get nice marble contact paper like this (here's one link), or your local dollar store might surprise you as well. But stay tuned for Livet Hemma's post which should be up within the next couple of days! This is such an innovative idea!